It's beneficial to get a guide to take you through the large Museo Inka in Cusco, having said that we didn't and still got a good view of all the the museum covered. The Auckland Museum has an impressive section on Maori and Polynesian history. Love this post! I'm also an ubber museum/history geek and always seek out such places on my travels. 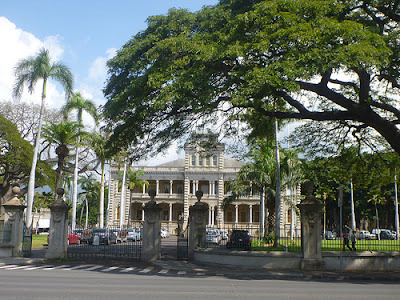 I'm sad to say that when I visited Oahu last month, I walked the grounds of Iolani but didn't have time to tour. The Honolulu bus system was that bad (aka so slow). I feel bad that I was that close. On our recent trip to Africa the only place we really got to any sort of museum was South Africa. There's always next time in Oahu!